Why? Why can’t I knit in season? I cast on a cotton tee shirt in August. I whipped up a rustic, bulky cardigan in January (where I live, it’s already too warm for rusticbulky things by mid-February). I absorbed myself in designing a super bulky scarf after the local cherry blossoms made their annual appearance. Unfathomably, I have repeated such off-season gaffs more times than I can remember. I’m an organized person (asserted with a smidge of whine). Hand me a stack, box, or room full of paper, data, photos, or any other materials needing sorting, labeling, crossreferencing, or just plain wrangling, and I’m all over it. So, why, why can’t I churn out a fabulous knitted item at the very when I want/need/crave it? As you can see, I created this Custom Fit tee pattern a whole entire year ago (May 2018). I really liked the gradient blue striped tee in that printer-fail Vogue Knitting pattern you can see in that pic up there, but I wanted it with an hourglass silhouette and v-neck, instead of scoop neck and straight sides. 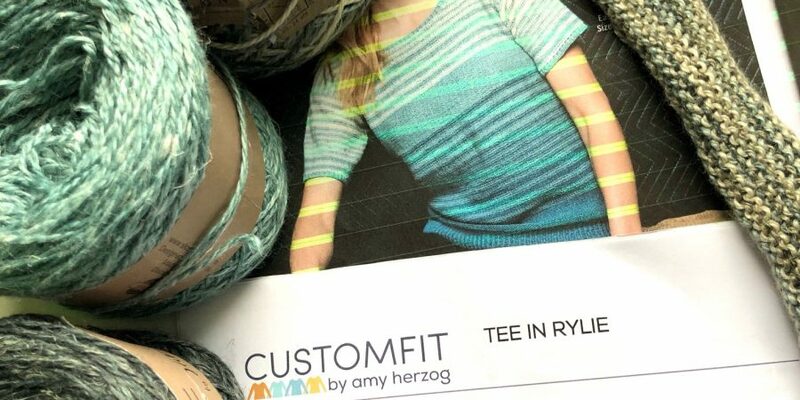 Amy Herzog and Custom Fit to the rescue! 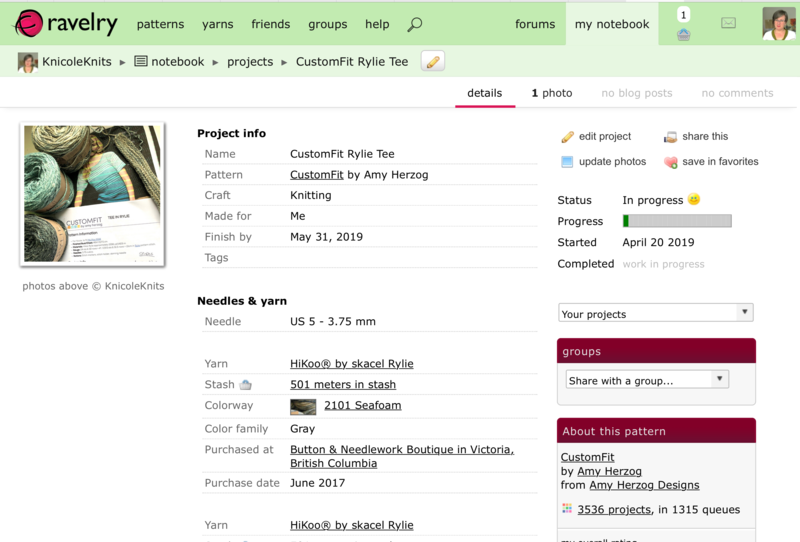 I generated the tee pattern through Amy’s magic pattern creator, using my measurements and my gauge, and then planned to apply the Vogue pattern stripe sequence, in reverse stocking stitch for extra blendiness. The whole deal made extra yummy in shoulder-season-perfect alpaca/silk/linen Hikoo Rylie yarn. And when do I want this Goldilocks garment? Right now, of course. And what’s in my current WIP queue? Well, there’s a super bulky scarf, a woolly fall sweater, a couple of cozy cold-weather cowls, aaaand…not this. I can fix this. It’s not rocket surgery (yes, that’s a thing – look it up). First, I need to get over my propensity towards impossible instant knitting gratification. Some amount of planning is in order. I need deadlines. Deadlines and I are pals. It’s a big reason why I like to test knit – given a six-week deadline, I will be done in four. I absolutely can drop everything and knit a sweater when I need/want it, if I know it’s “due” by a particular date. 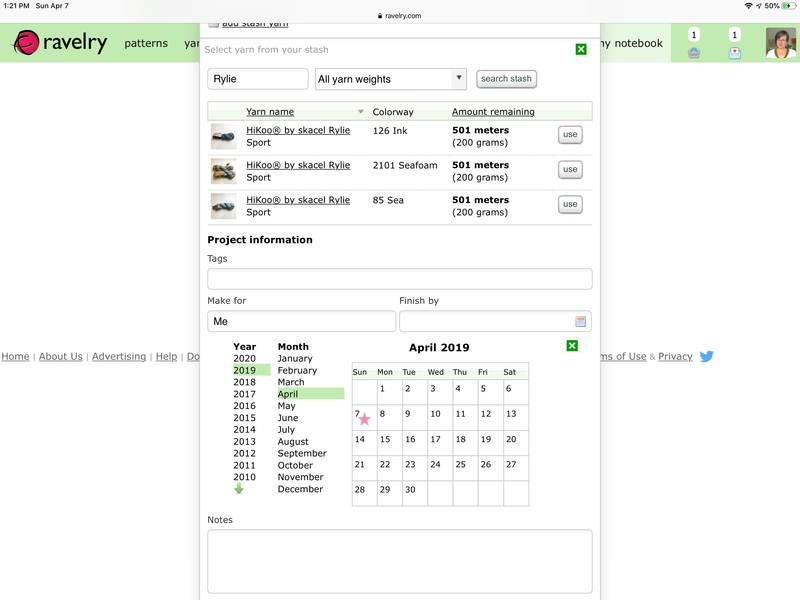 After opening a queue entry, and adding the yarn, I can click on the calendar icon in the “Finish by” field and put in my deadline. Here it is after moving the entry from the queue to a Project. I’ve set the start date to the day after my deadline for the test knit, and the finish date of May 31, 2019 filled in automatically from the queue entry. Theoretically, this should work. 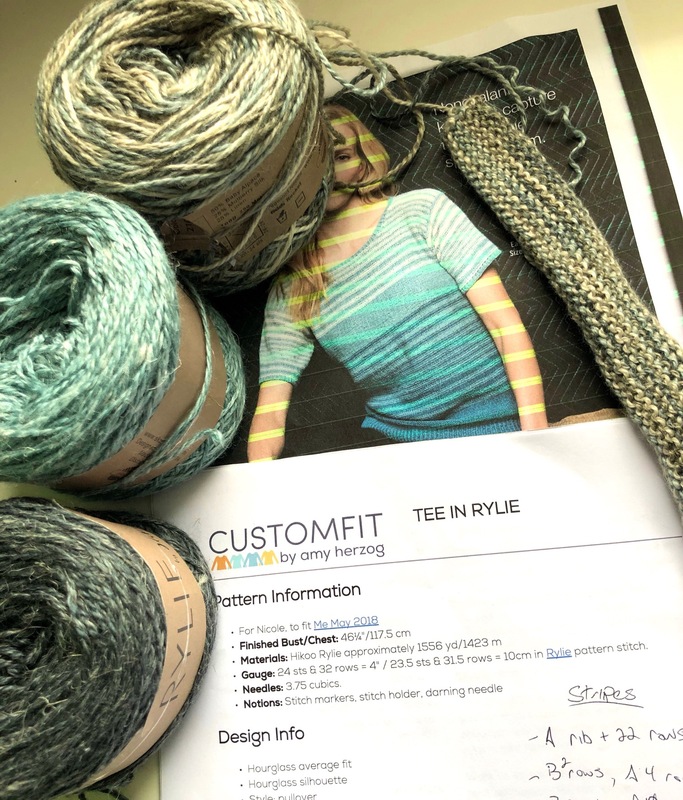 I now have both a starting date and deadline for my much wanted Rylie tee shirt. And if I finish my test knit early, I can clean up some of my other WIPs currently lying in wait.